Bad breath is a common problem in life that is in most cases temporary and easily remedied with good dental hygiene. It is not only a problem in seniors but affects all age groups at some time or the other. Combating bad breath is a daily undertaking and often not related to any mouth or tooth disease. However, there are instances where bad breath is chronic and even the best dental regimen only provides minor relief or temporarily abates the foul odor. The elderly may be more prone to bouts of halitosis for various reasons associated with aging and age-related conditions. Without first understanding these possible causes and attending to the root of the problem, bad breath cannot be remedied even in a person who is conscientious about their oral and dental hygiene. One of the main factors in orodental (mouth-teeth) hygiene is saliva. It is secreted by the salivary glands and has digestive enzymes to aid with chemical breakdown of food and saliva also lubricates and moisturizes the mouth. The antimicrobial properties of saliva prevents bacteria and other microbes from proliferating extensively in the mouth. These bacteria are largely responsible for the decay of food remnants in the mouth, and sometimes even decay of the teeth itself. Bad breath is almost always due to the decay of the particles of food that is stuck on the rough surface of the tongue, between the teeth and other crevices and corners within the mouth. Dry mouth (xerostomia) where the saliva secretion reduces with age, with certain medication and some chronic diseases. Mouth and gum infections such as infectious stomatitis, gingivitis and periodontitis. Nose and throat diseases such as sinusitis, tonsillitis and pharyngitis. Acid reflux where the stomach contents rises up the food pipe sometimes as high as the back of the throat. It is also known as GERD (gastroesophageal reflux disease). Diabetes mellitus which causes a fruity odor when fat is broken down in excess amounts. Kidney and liver failure as waste and byproducts accumulate in the blood stream. Lung abscess which is a collection of pus in the lung tissue. Alcohol and tobacco use may also contribute to bad breath. Denture stomatitis is a common cause of bad breath in the elderly using dentures. 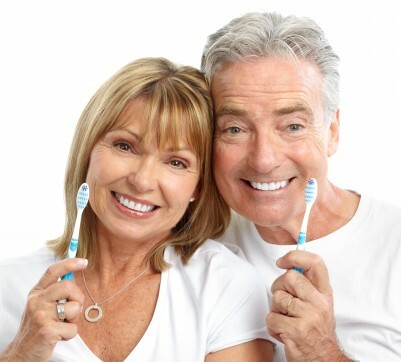 In the elderly especially there is also the debilitating illnesses such as Parkinson’s disease or Alzheimer’s disease that can contribute to poor dental hygiene. A person with Parkinson’s disease may be unable to brush their teeth or floss to a sufficient degree or may forget to do so in Alzhemier’s disease. Brushing the teeth with a fluoride toothpaste. Always brush for a minimum of one minute and at least twice in a day – upon waking and before bedtime. Flossing is important to remove the food particles between the teeth that brushing alone cannot expel. Mouth wash can reach the places that flossing and brushing cannot and destroy any bacteria. Dentures need to be cleaned as directed and should not be used for long hours especially when sleeping. Dental check ups are necessary at least twice a year and dental problems need to be treated immediately.